A night out carousing with friends sounded like a good idea for a crowd of 500. Walking up and down the streets, tasting what their city’s downtown had to offer was an even better idea. 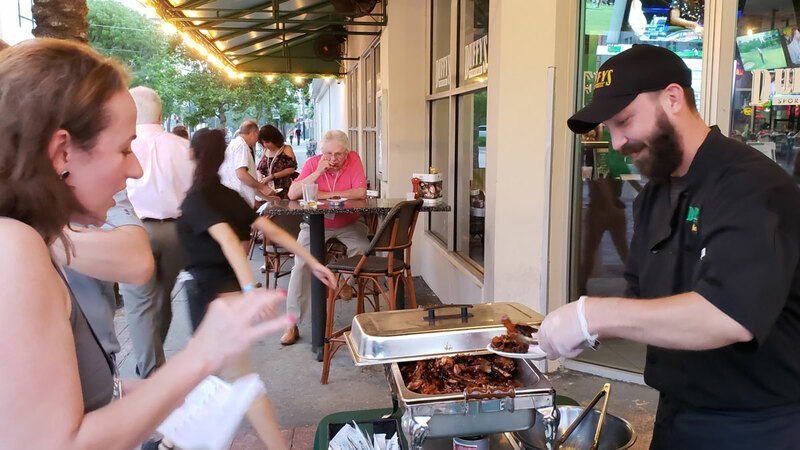 In a mad rush to do something different and adventurous in our small city with big-city ambitions, over 500 people registered for the Pairings Food + Wine Tour in Downtown West Palm Beach, which happens every year on the last Thursday of May. Presented by the West Palm Beach Arts & Entertainment District and the West Palm Beach Downtown Development Authority in partnership with SunFest and LocalDines – South Florida, this fun event was just another tool to build a happier and friendlier community by bringing people together and having them taste and see good things. The Pairings Food + Wine tour started at 5:30 in the evening, and for three hours guests followed their maps and painted footprints on the sidewalks that led them on their quest to discover each restaurant, from one street to the next. Pipeline Poke Co. was #14 on the list of over 20 restaurants and retailers that participated in the Pairings Food + Wine tour. With a contemporary and welcoming setting, it is a modern departure from wraps and sandwiches, introducing you to the true taste of the Hawaiian islands. 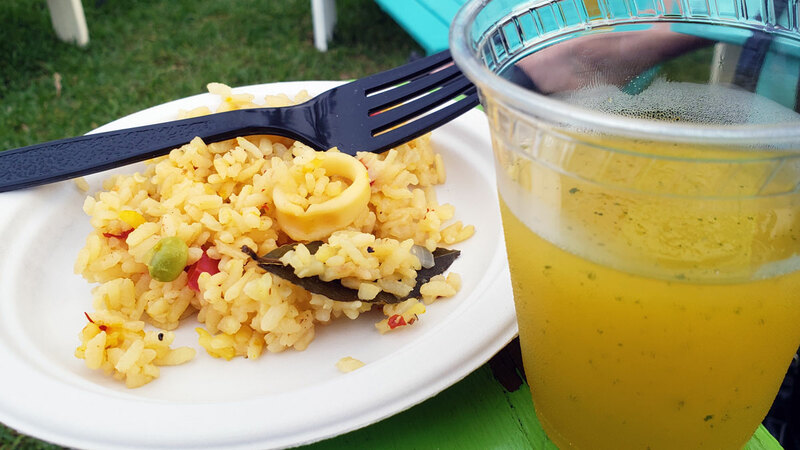 Guests poked their way to the front of the line to receive their samplings, which included a generous selection of bowls consisting of either white rice, brown rice, Quinoa, Mixed Baby Greens or Kohlrabi noodles. 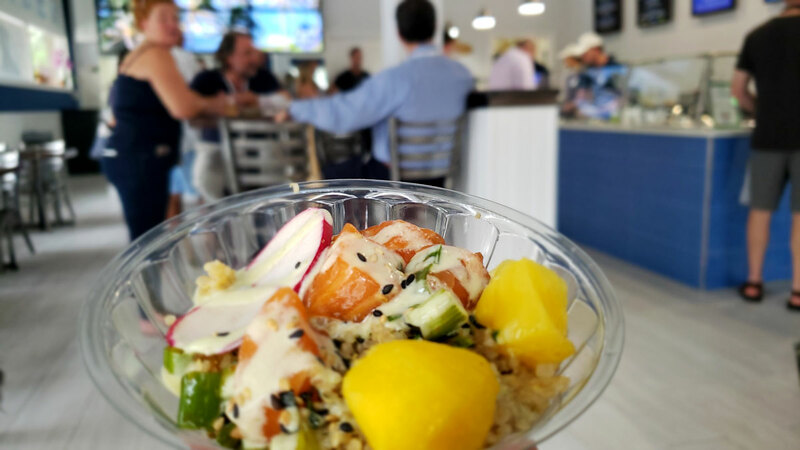 After choosing their bowl bases, guests selected their favorite proteins, from Ahi Tuna, Scottish Salmon, Escolar [White Tuna], Grilled Chicken, Poached Shrimp or Organic Tofu, plus carrots, cucumbers, and other delicious mix-in’s. These were topped with a selection of toppings and sauces, like Toasted Sesame, Chili Flakes, Wassabi Peas, Furikake, Crispy Onion, and Pipeline House Sauce, and more. Both the food and the ambiance at Pipeline Poke Co. deserves a repeat visit. One of the biggest highlights of the night was flavoring West Palm Beach Brewery & Wine Vault. 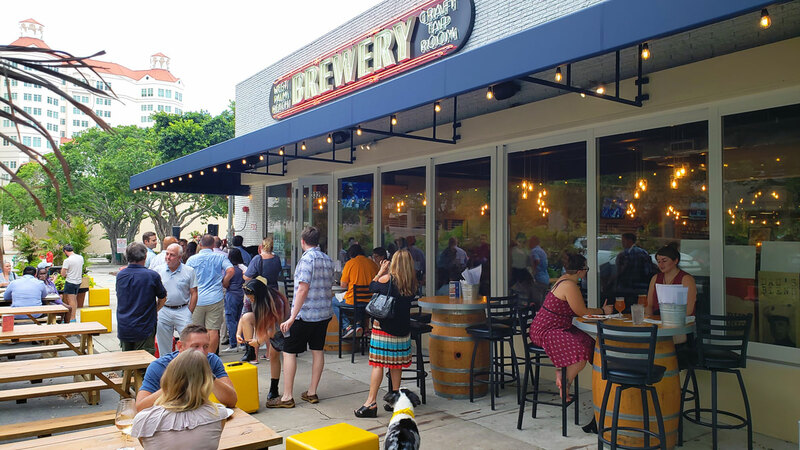 This pet friendly restaurant is fairly new to Downtown West Palm Beach, and since their arrival, they’ve revolutionized Evernia Street. A lot has to do with their hip indoor and outdoor sitting, not to mention their tasty food and premium beer and wines, including their Napa Valley tasting room + wine shop. To make things more stupendous, the Lubben Brothers, a folk, Bluegrass and Celtic band entertained the crowds that stayed even after they finished sampling the restaurant’s offerings to listen to their great sound. 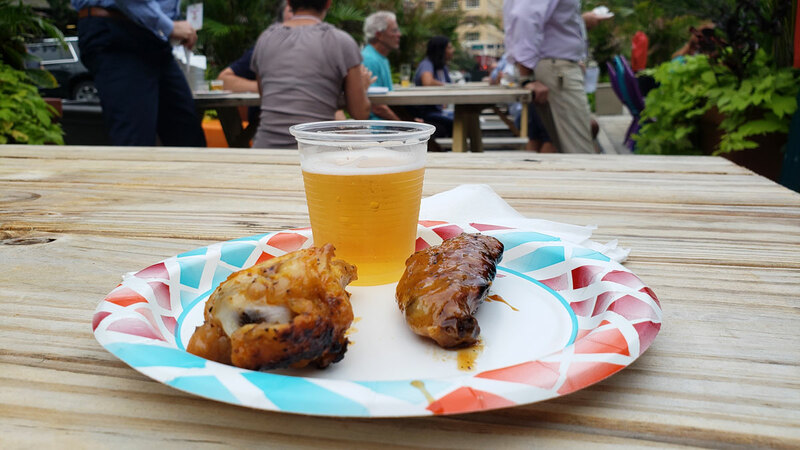 Samplings of their Mango Habanero, garlic, Buffalo, and Sweet Teriyaki chicken wings were actually a hit at the Pairings Food + Wine tour. The B4 Blonde Ale, a crisp, easy drinking, light golden ale went down quite smoothly, especially after eating the delicious spicy wings. It would be good to mention, and perhaps for you to take note, that their happy hour is Mon. – Fri., from 4 – 7pm. The Brewery is already notorious for their selected wines and beers and for their Mac N Cheese and for their pizzas, from the Margarita, Pepperoni Saison and Garden Veggie Pie. Anzo, another new arrival to the dining scene in downtown West Palm Beach, has already a huge following, and it’s not a mystery as to why. While they offer classic Mediterranean food, theirs is a mix of global cuisine. A tasting of their warm bowl, which consisted of mashed potatoes, crispy onions, hummus and a small Falafel, delighted the senses. Leila’s restaurant offers the finest Mediterranean cuisine in Downtown West Palm Beach. A frequent vendor at our Downtown West Palm Beach GreenMarket, their regional dishes, along with a wide selection of familiar mezze items, like hummus, falafel, and tabouleh salad are on top of any foodie’s list. 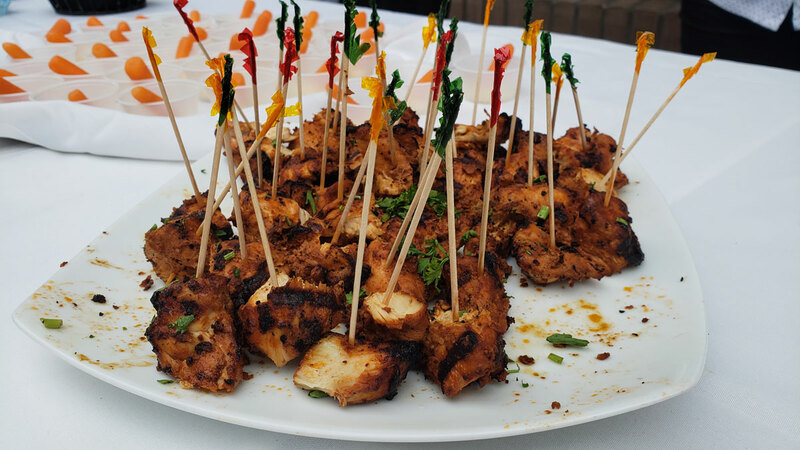 Known for their delicious skewers, Leila didn’t disappoint their tour guests, as they got to sample their tasty Grilled Chicken Skewers, plus their fresh hummus. Could have had seconds and even thirds! So yummy. Comfort food. The food you love in a casual, friendly setting. That’s what Duffy’s Sports Grill is all about. And there’s a reason why last night people gathered around the table set up in front of their main door to get a taste of their Korean BBQ Ribs and Pineapple Guavatini, wanting more! Location. Location. Location. Nothing goes better with a refreshing drink and an assortment of flavorsome small plates, than the picturesque scenery of West Palm Beach’s intracoastal. ER Bradley’s is everyone’s hangout, day or night. 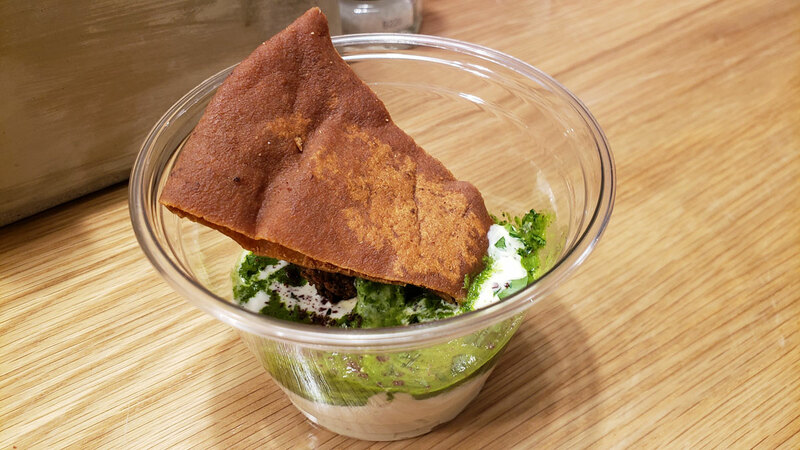 And for those not familiar with this popular spot, they got a taste of Bradley’s new Latin flavor, under the direction of Chef Edwin Bermudez. The 2018 Pairings WPB night was a huge success. And some would say that if you really want to discover Downtown West Palm Beach, the best way to do it is by taking a walk. Yes, a walk up and down its streets. Then, casually sit down at a coffee shop or restaurant and really taste all it has to offer. What you see, touch, hear and taste will open up your mind and allow you to survey your community in a different light.